It has been a big year for the Lao Assistance Center, which is celebrating its 30th anniversary of serving the Lao in Minnesota. This month, their executive director, Sunny Chanthanouvong has been honored for his work with the community with a 2013 Virginia McKnight Binger Award in Human Service, a distinctive honor for the community. The awards were first presented in 1985, and named after Virginia McKnight Binger, who was the Foundation’s first board chair and the daughter of the founders. Mcknight Binger passed away in 2002, but the awards help the community remember her “enduring spirit of compassion, humility, and generosity.” The only other Lao Minnesotan to receive the award in its 28-year history so far was Kouthong Vixayvong in 1991, 22 years ago. The McKnight Foundation, a Minnesota-based family foundation, seeks to improve the quality of life for present and future generations. For 60 years of grantmaking, collaboration, and strategic policy reform, they use their resources to attend, unite, and empower those they serve. Sunny Chanthanouvong and his family emigrated from Laos to Minneapolis in 1984. He received a bachelor’s degree in computer science from Mankato State University and completed professional development courses in nonprofit management, real estate, and leadership at Hamline University and the University of St. Thomas. He is a 2013 Bush Leadership Fellow and was a 2011-2012 Humphrey Policy Fellow. He currently contributes a regular blog to the Twin Cities Daily Planet, “Sunny’s Side of Life,” discussing opportunities and his journey in building civic engagement. He first began working at the Lao Assistance Center in 1992 as a Youth Specialist, and became the executive director in 2001. building an award-winning staff focused on community service and involving the community in local and national policy. Each year, a committee composed of human service professionals and volunteers from throughout Minnesota review the nominations and recommends candidates to the Foundation’s Board of Directors. A Minnesotan can receive the award only once in their lifetime. The mission of the Lao Assistance Center of Minnesota (LACM) is to increase the capacity of the Lao-American population in Minnesota by responding to community identified needs through developing programs and services that will promote the well-being of families and children while retaining their cultural heritage. 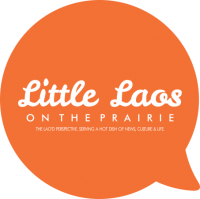 Minnesota has the third largest population of Lao in the United States, with over 12,000 residents, including award-winning artists, scholars, and community builders. Congratulation Ai Sunny on your accomplishments and awards. That is very inspiring. Thank you for your dedications to the Lao community. Previous PostLao Minnesotan Artist Heritage Month 2013!